This pushing-lifting bottle unscrambler is a kind of advanced bottle arranging equipment in our country. 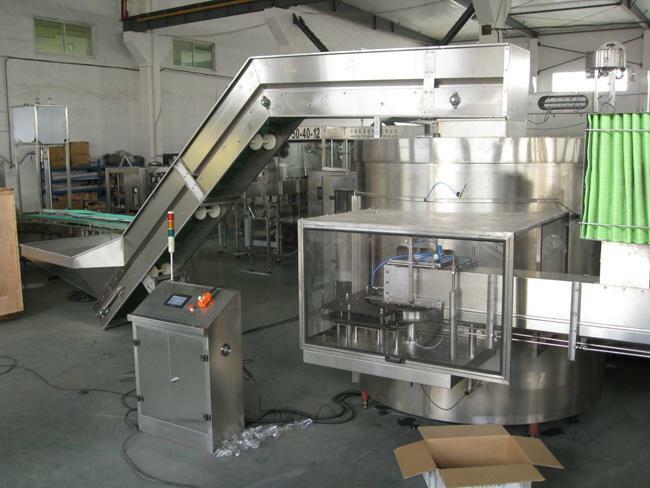 The device is designed and manufactured by integrating advanced technology from abroad, and high-speed and automatic needs of domestic beverage industry. 1. The frequency changing of the main motor adjusts the operation velocity. 2. It adopts the bottle lining structure of three-time pushing and lifting bottle arranging mechanism, which makes each bottle setting position has three times of setting. In that way, high efficiency of bottle production is achieved. 3. The specially designed bottle setting module can deal with bottles of variable length, with no need to replace that module. And users only need to adjust it properly. 4. The die changing mouth in the middle of barrel makes it easy to install and dismantle bottle setting slot as well as clear blocking. 5. The maintenance mouth in the underpart of barrel makes it easy for maintainers to enter the bottom of the machine. 6. Equipped with manual control machine, it is easy to maintain this bottle unscrambler. 7. Perfect safety protection measures have been achieved. When maintenance door and die changing door are open, the machine cannot be started, and thus users can control this machine by manual manipulator. 8． The bottle outputting star wheel of bottle unscrambler is fitted with bottle jamming detector to ensure the safety of machine. 9. The umbrella-shape tower in the center of bottle unscrambler is equipped with bottle detector that controls the start -stop of bottle supply hoister. 10. Overturning bottles are sent out in the connecting place of bottle outputting star wheel and bottle hanging mouth of air conveying channel, thus overturning bottle blocking is avoided. 11. Equipped with zerk, the outer barrel makes it easy to add lubrication oil to wheel gears, bearings and cams. 12. The air flow system is fitted with pressure switch and switch valve. If compressed air isn't connected, the machine can't be started. The start-stop of switch valve is cooperated with that of the machine, thus ensuring air saving. 13. Bottle conveying utilizes the method of bottle hanging mouth in the air conveying channel, thus avoiding overturning bottles. 14. The bottle entering end of air conveying channel has a removing bottle jam mechanism, which is driven by air cylinder. Whenever there are jamming bottles, this mechanism automatically remove them, thus bottle jam can't damage this bottle unscrambler. 15. This machine is equipped with electronic control cabinet of stainless steel. 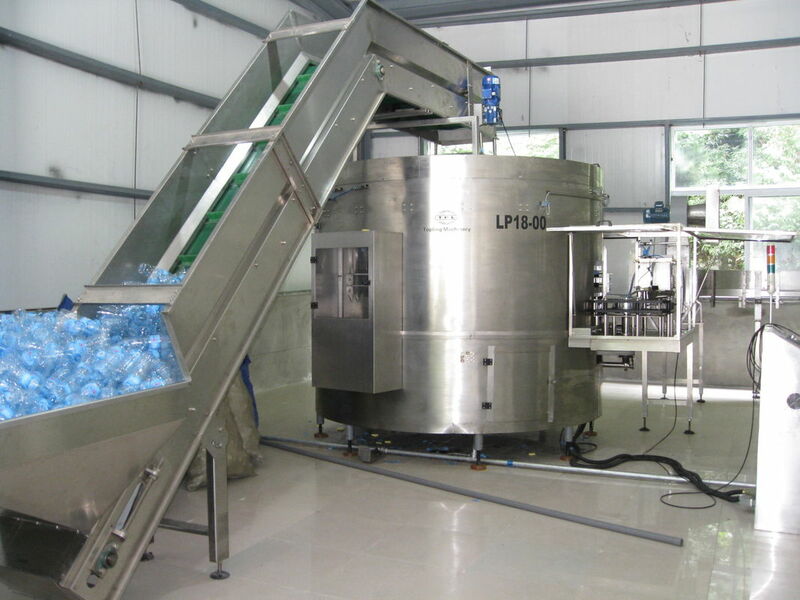 And PLC can automatically finish the three entire processes of bottle unscrambler, hoister and air conveying channel. 16. Its main components include frequency converter, PLC, photoelectronic switch, and electric relay and all of those components from MITSUBISHI, OMRON, and SIEMENS, etc.